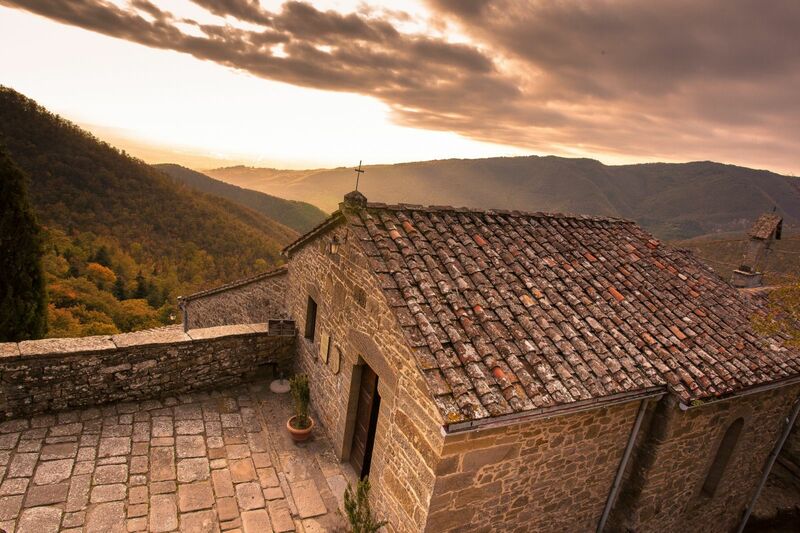 Fulcrum of the Franciscan spirituality Montecasale Hermitage, founded by St. Francis in 1213, is an example of architecture in harmony with nature. Set about 700 meters high in the green foothills of the Apennines, surrounded by forests and small streams, the hermitage conquest for its simplicity remained intact. From the church, built in wood and stone, through a tiny corridor carved into the rock leads to the rock where St. Francis rested and prayed, and the cells of the monks. 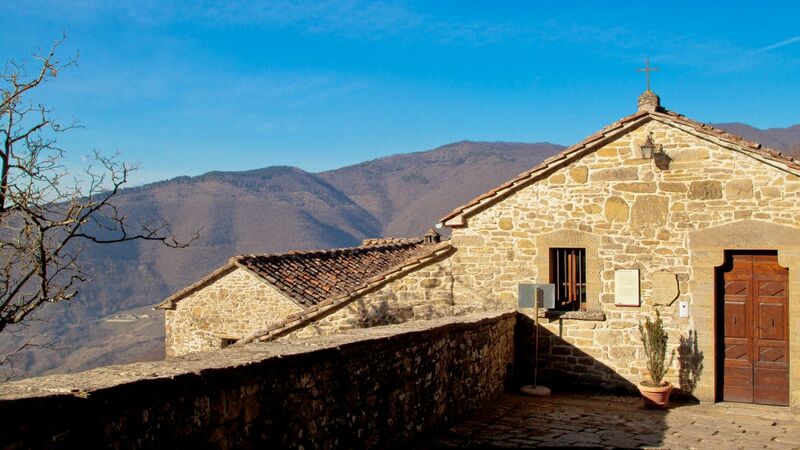 In the small cloister with the stone roof is possible to meditate in silence, while outside opens a magnificent panorama of Sansepolcro and the whole valley. Here St. Francis stayed several times and this place tie you have episodes of his life; the most famous tells of the conversion of “three robbers” moved by the generosity and love of the Holy.